Are you addicted?Do you have a problem? Here at the collage club we can help you. A problem shared is a problem halved . 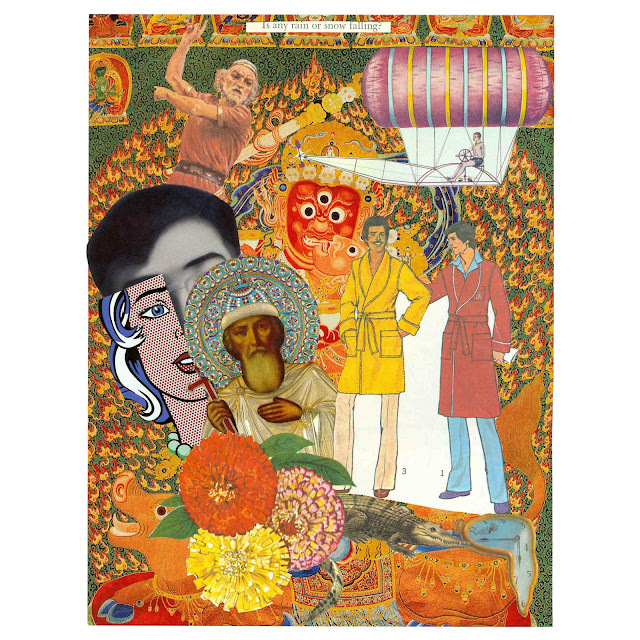 Who is your favourite collage artist? What glue do you favour? Have you found your scissors yet? You need to be a member of CLUB COLLAGE to add comments! Sure! That sounds great. I'm at 608 Shady lane Charleston WV 25314. I'm cleaning out supplies. Anyone want a bunch of random images and ephemera? Colorful and great for collage. Kolaj Magazine has declared May 12 World Collage Day! You are invited to participate in an International Mail Art Envelope Exhibition with the theme ''Denmark is....'' that will be held at Kulturstationen Vanløse, Copenhagen, Denmark in May 2018. What comes into your head when you think about Denmark – Hamlet & Elsinor Castle? The stories of Hans Christian Anderson? Danish blue cheese? Lego bricks (there are about 62 for every person in the world!)? The Tivoili Gardens in the centre of Copenhagen? The Little Mermaid statue? Carlsberg beer? Danish bacon? We all have different images of the country, and we would like you to send us an Envelope with your visions of Denmark on it. Envelopes can be any size, but should be no bigger than A5 -- 2.3 x x 1.6.cms/8.3 x 5.8 inches. The front of each Envelope should include your view of what 'Denmark is....', for example a painting, drawing, collage, etc. On the back of the Envelope please include your name, contact details and any other information that you think might be relevant. Only the front of the Envelopes will be displayed in the Exhibition (so there is no need to put anything inside your Envelope). There will be no jury, no fees, and no return of the Envelopes. All the Envelopes submitted will be exhibited, but anything deemed offensive, unsuitable for our visitors, or straying too far from the brief may not be included. A blog will be set up on which the received Envelopes can be seen. cuT & paste? I’d love to! Anybody want to trade? glad you liked it jan! from William of Taiwan, this bizarity! great fun. So sorry to all those who are waiting on responses from me- have been very busy. I have not forgotten you!